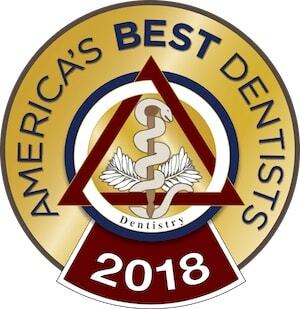 Since 2004, Dr. Firouzian in Columbus, Ohio is one of a select few dentists in the country with equipment to screen you for a potentially serious condition called obstructive sleep apnea. This is a condition whereby a person stops breathing for more than 10 seconds at a time throughout the night. Undiagnosed and without sleep apnea treatment, it can lead to cardiovascular problems such as high blood pressure, heart attacks, and stroke. It can contribute to obesity and systemic illnesses like diabetes. It can even cause or contribute to psychological problems depression and other mood disorders. Many people who snore actually suffer from sleep apnea. Snoring occurs when your airway is partly obstructed. This creates a turbulent airflow that causes your tissues to vibrate, creating the sound of snoring. 10%-30% of all adults snore, and many snorers may experience physical problems related to sleep apnea. Snoring can greatly reduce the ability to sleep well. There are different stages of sleep, and you must spend enough time in deep sleep to experience a restful night. When you airway is partly restricted, you have difficulty reaching and staying in deep sleep. As a result, you may feel tired throughout the day. Snoring may seem harmless. However, it could also be the sign of a serious sleep disorder breathing condition such as upper airway resistance syndrome or obstructive sleep apnea. Risk factors for snoring and sleep apnea include weight gain, age, family history and anatomic abnormalities. The Greek word “apnea” literally means “without breath.” People with untreated sleep apnea stop breathing repeatedly during their sleep, sometimes hundreds of times during the night and often for a minute or longer. Obstructive sleep apnea (OSA) is caused by a blockage of the airway, usually when the soft tissue in the rear of the throat collapses and closes during sleep. The most commonly recommended treatment for OSA is continuous positive airway pressure (CPAP). Although CPAP is highly effective, it can be uncomfortable for some people, and it’s not well tolerated. Dr. Firouzian helps people who need sleep apnea treatment find an alternative to CPAP. This has been a very fulfilling part of his career due to the life-altering results it provides for patients suffering many years from sleep apnea. Dr. Firouzian in Columbus, Ohio works closely with sleep specialists in treating OSA patients. To learn more, see Sleep Apnea Questions. If you are in the Dublin, New Albany, Columbus, Ohio and surrounding areas and need sleep apnea treatment for your symptoms, and are looking for potential dental related sleep apnea treatment, please contact us today to set up your appointment.